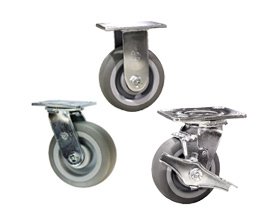 Heavy duty industrial casters handling capacities to 1,250 pounds per caster. 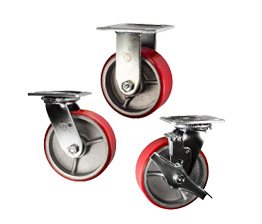 In addition to handling higher capacities, our Series #30 provides the user with a large selection of wheel types, many with high shock absorption capability. 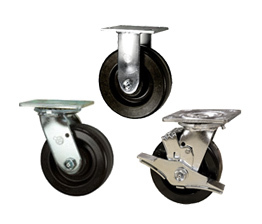 Choose set ups with rigid casters and swivel caster combinations for best steering results. 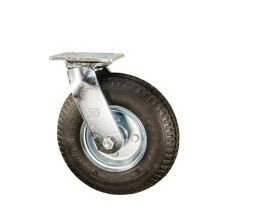 Great for use on dollies, platform trucks, warehouse carts and freight terminals. 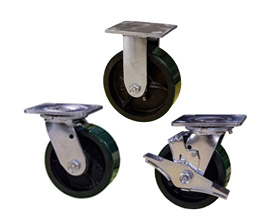 Durable metal body caster well-suited for food service carts, hotel housekeeping carts, and industrial and commercial equipment. 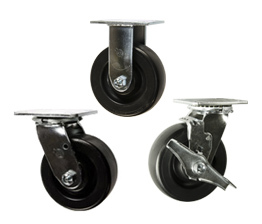 Service Caster also has a line of heavy duty High Temperature Casters. 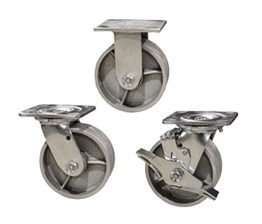 Strong steel industrial caster forks featuring double ball bearing heat-treated raceways, bright zinc plating, grease fittings and 5/8"(.625 inch) bolted kingpins, our heavy duty caster selections are built to your needs. 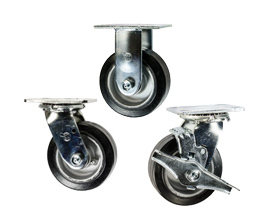 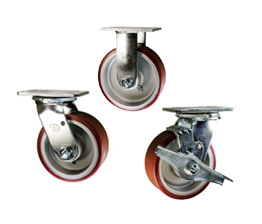 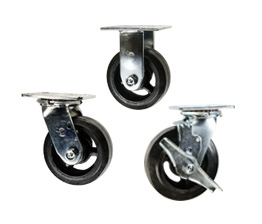 Choose industrial caster wheels from long lasting, floor safe polyurethane treads to durable high-impact, high capacity semi steel. 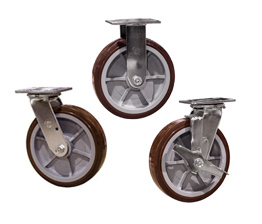 Service Caster #30 Series casters are made in the USA with global materials at our facilities in West Reading, PA.
Not seeing the caster for your application? 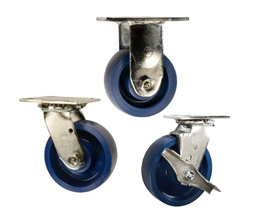 Need more options options including bearings and brakes not currently listed on the online selections? 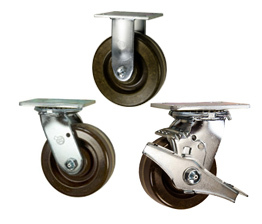 Please call 1-800-215-8220 for assistance from our on location caster and wheel sales staff.